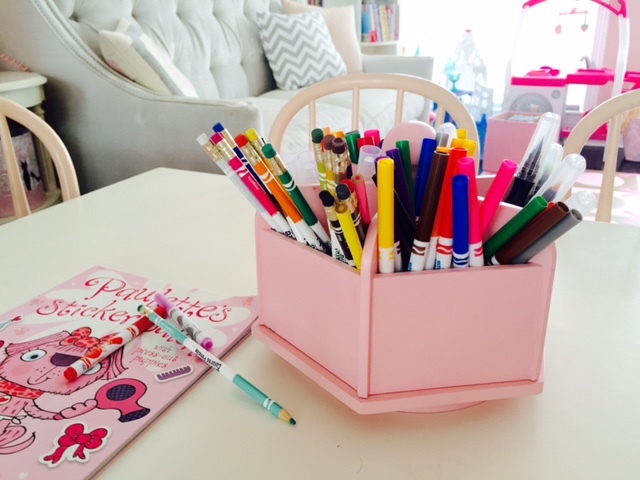 Since I already showed you the art storage cart that I DIY’d for the girls, I thought I would show you another fun storage item for kids’ art supplies. An art carousel caddy! Basically a lazy susan for art supplies. These types of art caddies are great, as they have dividers to keep your different types of supplies separate, yet together – if that makes sense! Colored pencils, skinny markers, paint markers and fat markers each have their own neat little compartment. Plus, the best part – it turns! When the kids are sitting around the table working on art masterpieces, they can all reach all of the supplies. 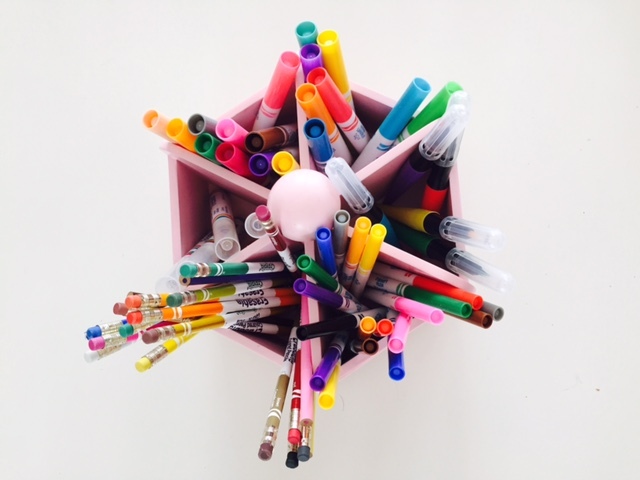 Plus, all of the fun pens and pencils adds some extra color to the room. 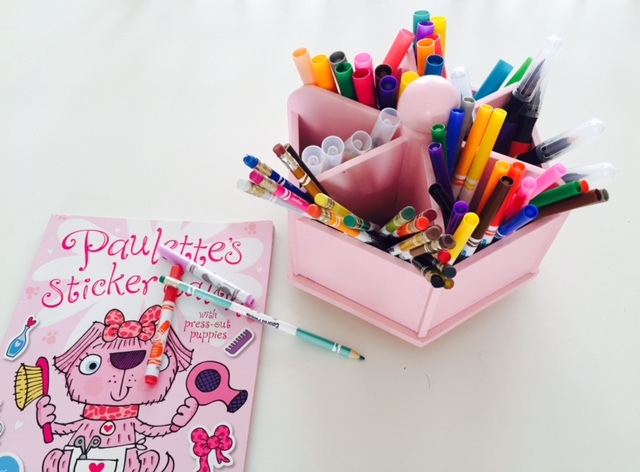 Definitely a must-have for little artists (and organization-loving mommies)! You can get your own here.